Bath is loaded with bathroom essentials that make bathing for both baby and parent fun and comfortable, What do ducks, turtles, frogs, hippos and sharks have in common? They love having fun in water! 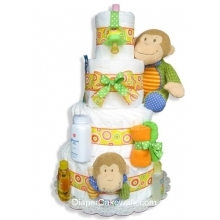 you'll find hooded towels, baby gift sets filled with gentle Johnson & Johnson bath essentials, and a few bath toys to keep baby company during the daily dip. Go ahead! 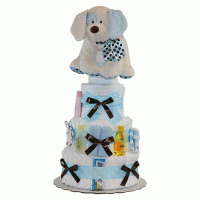 Browse our bathtime collection! We know you can't wait to see how a shark can make a trip to the tub oceans of fun! 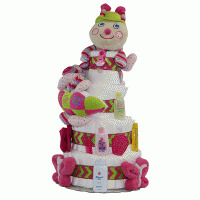 The baby gift that gives a hoot! 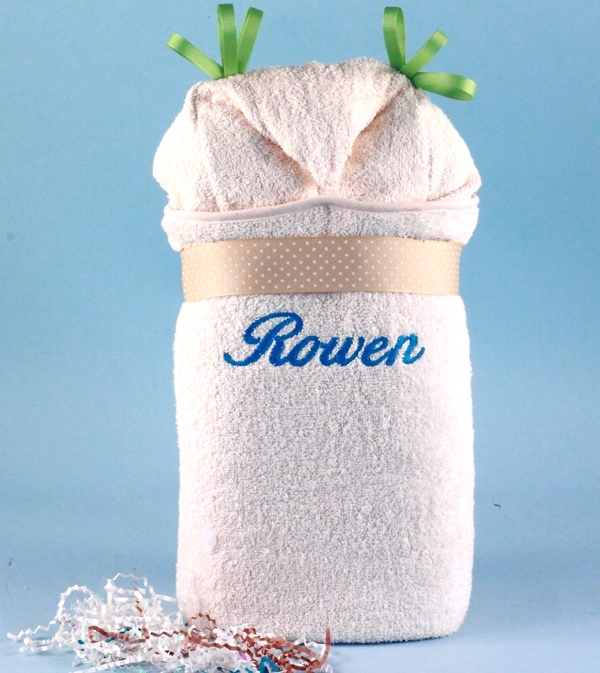 When it comes to hooded baby towel wraps no one does it better. It's a Hoot™ is the latest in our collection, featuring an irresistibly cute Owl design, name personalization on back, and three beautifully coordinating embroidered washcloths to round out this fantastic personalized baby gift. 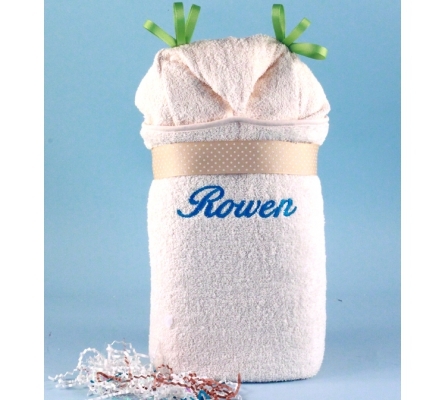 Imagine how fabulous baby will look wrapped in this adorable towel after bathtime. But It's a Hoot™ is far more than just a great looking baby towel. For beginners, it is entirely made in the USA. From the premium quality domestic terrycloth fabric, to the attention to detail in every aspect of the manufacturing process, you can see and feel the quality differernce Made in America offers versus cheaper imported towels. Finally, It's a Hoot™ towel is designed as a wrap to be used by infants and toddlers. The oversized towel measures 28" x 44" and comes with a generously proportioned hood to ensure it gets plenty of use as baby grows. 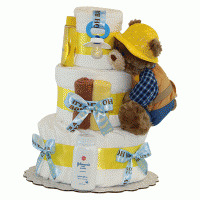 Go ahead and give a hoot as your next baby gift.